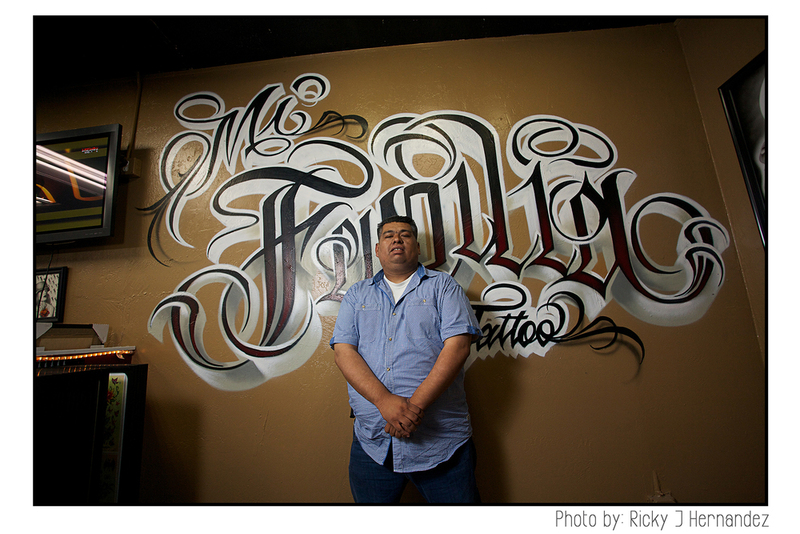 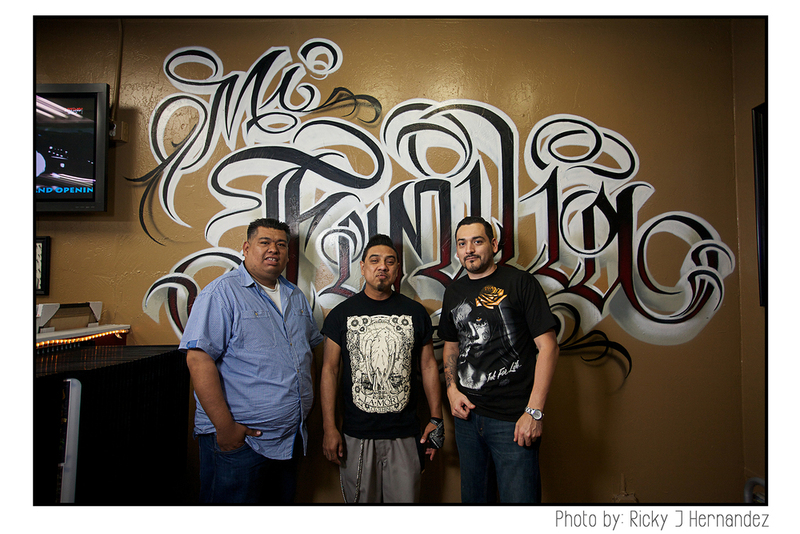 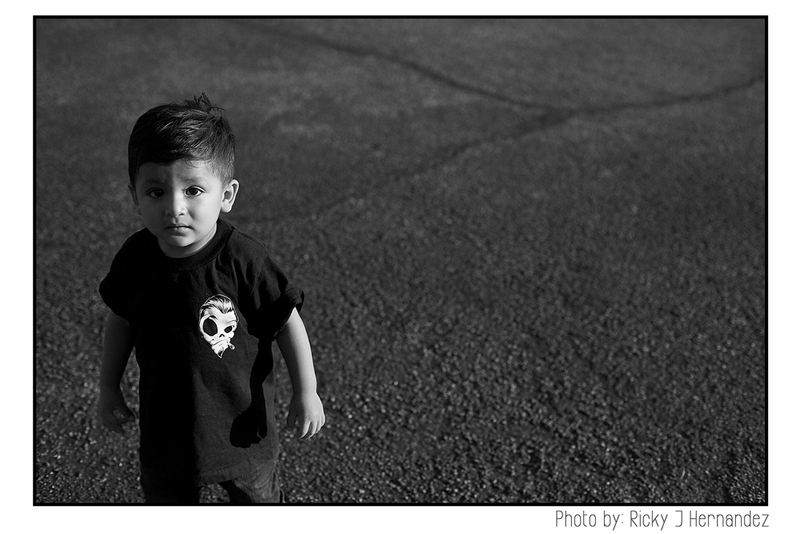 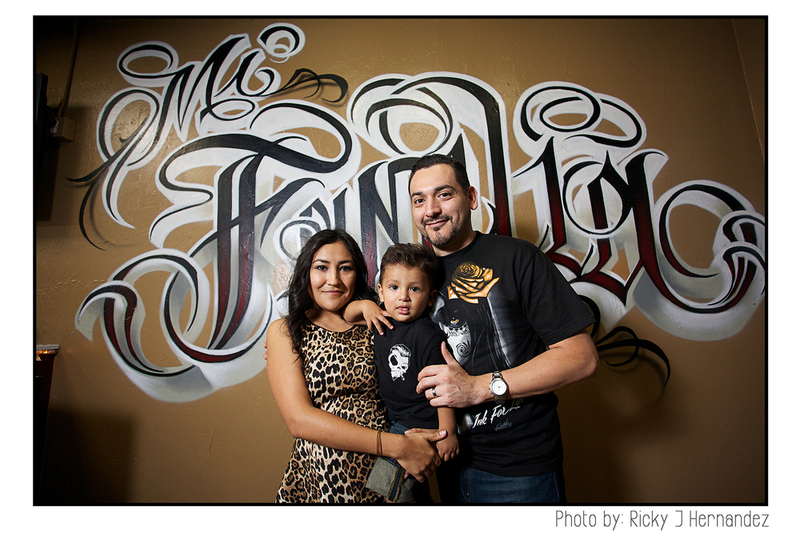 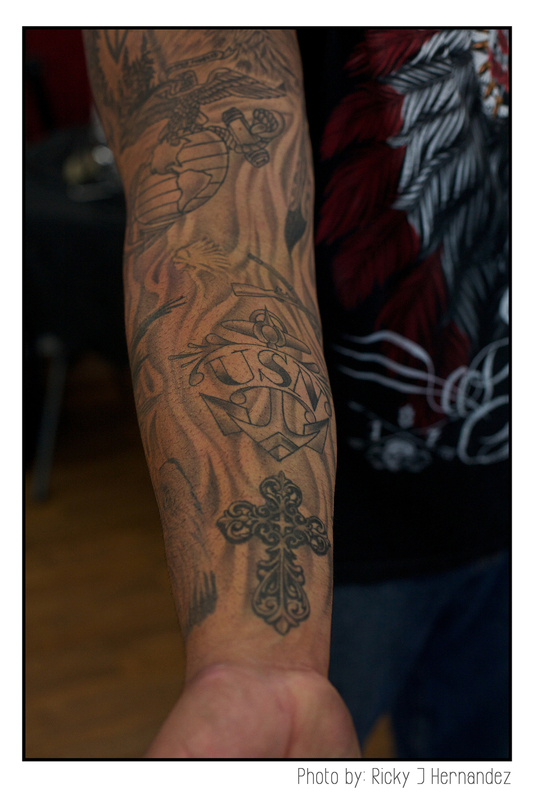 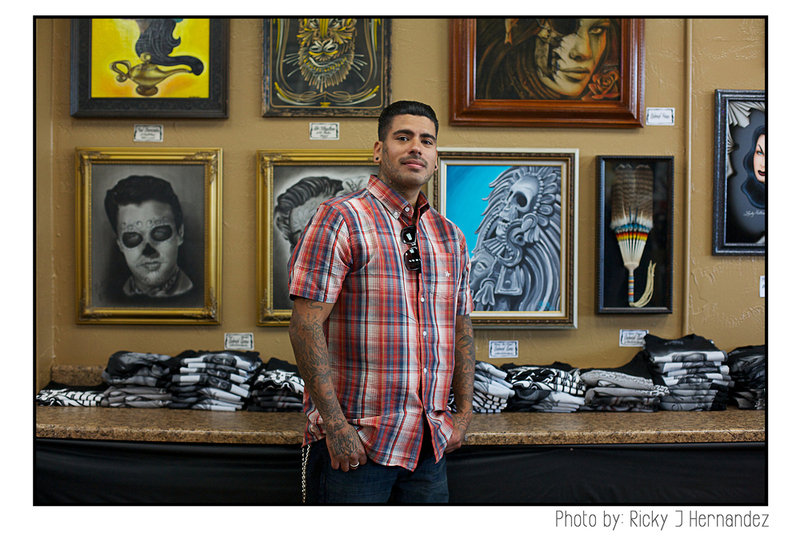 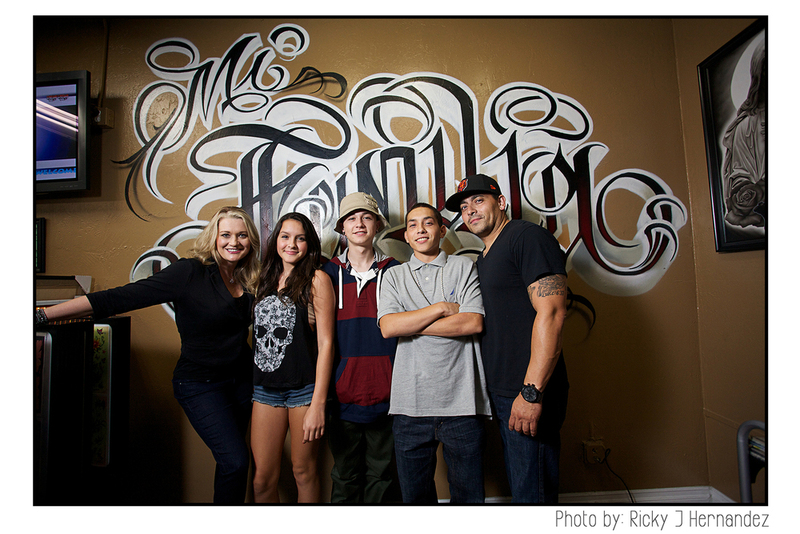 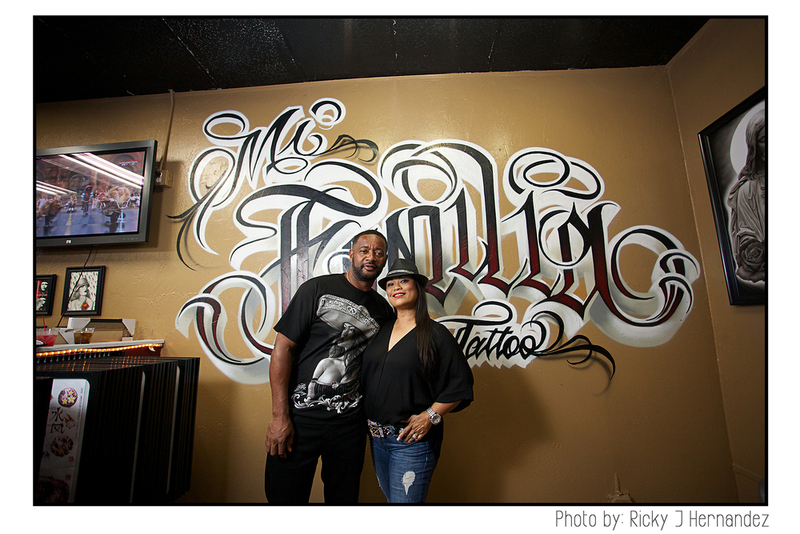 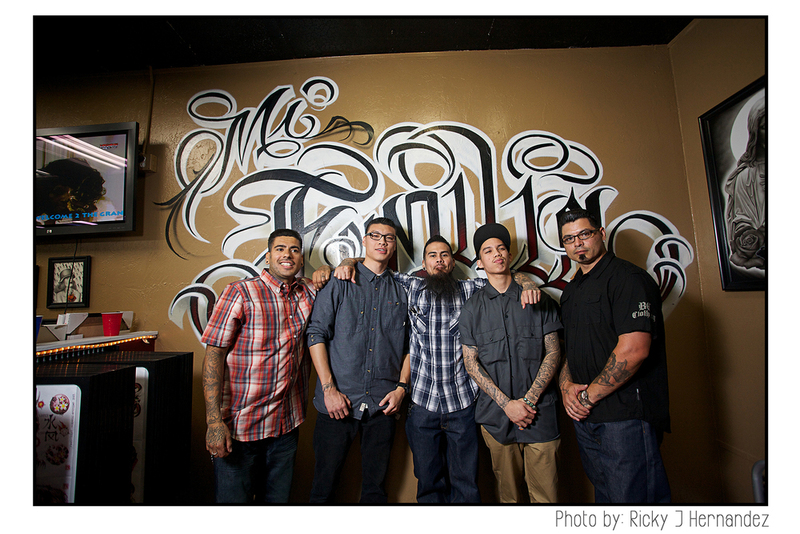 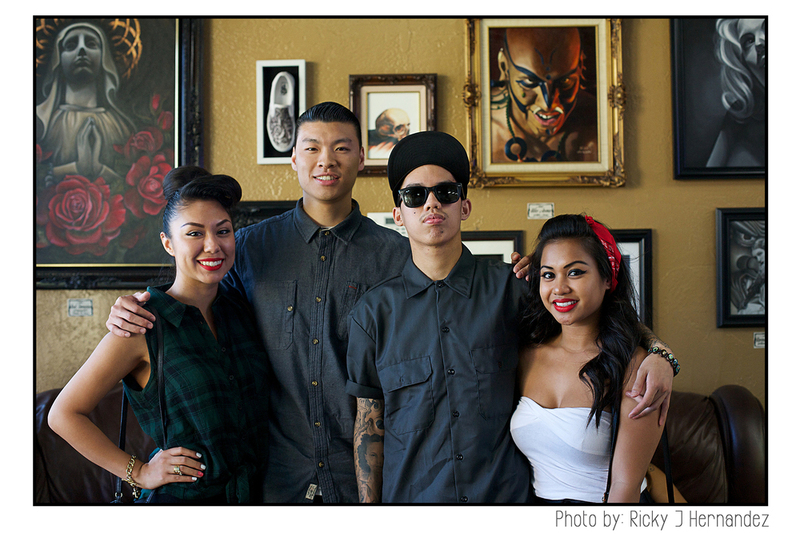 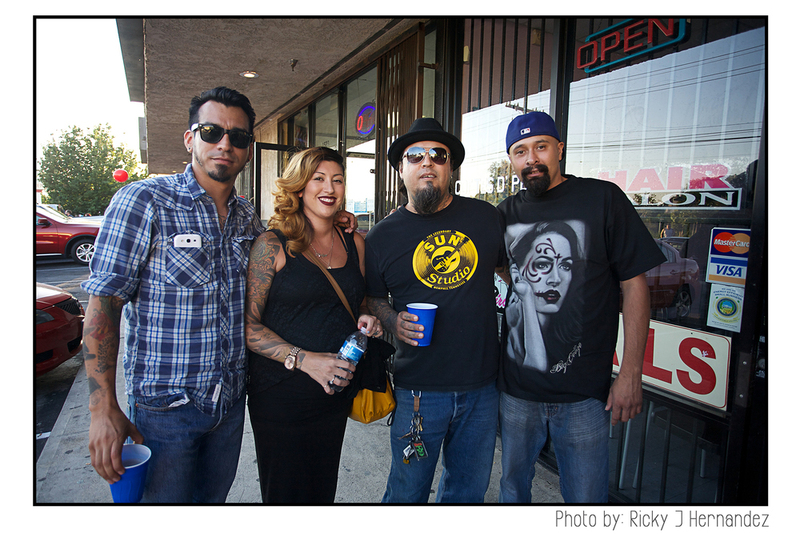 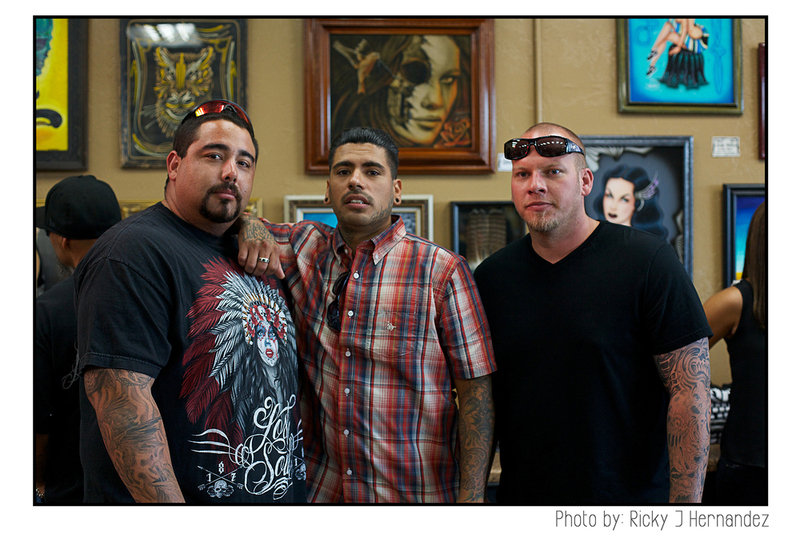 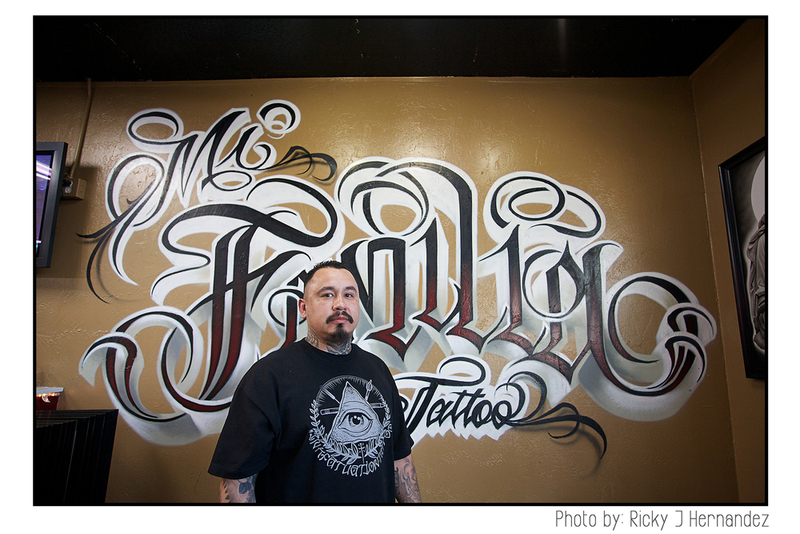 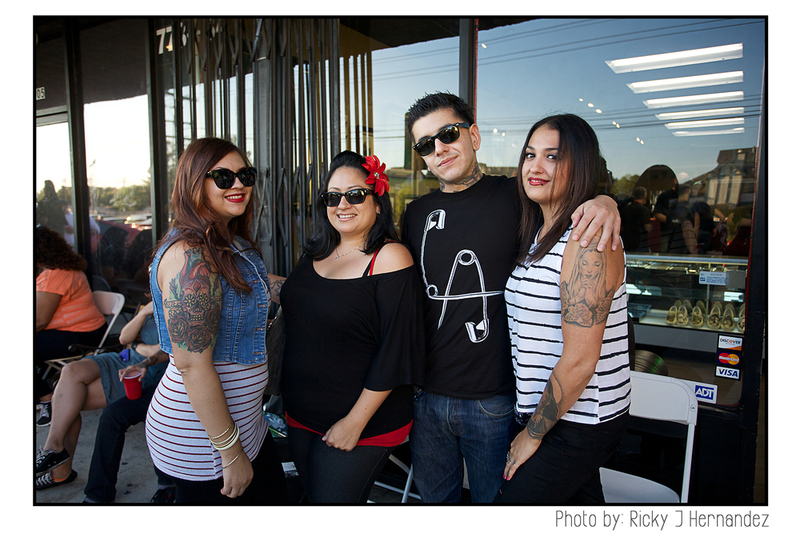 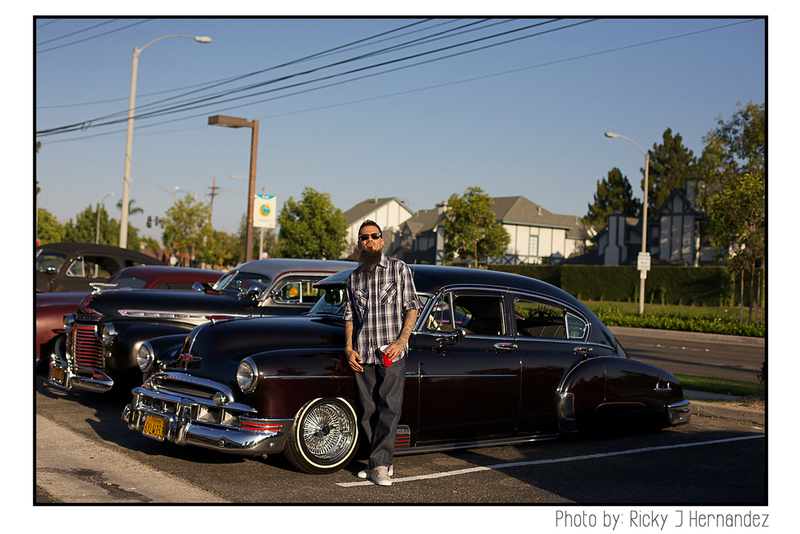 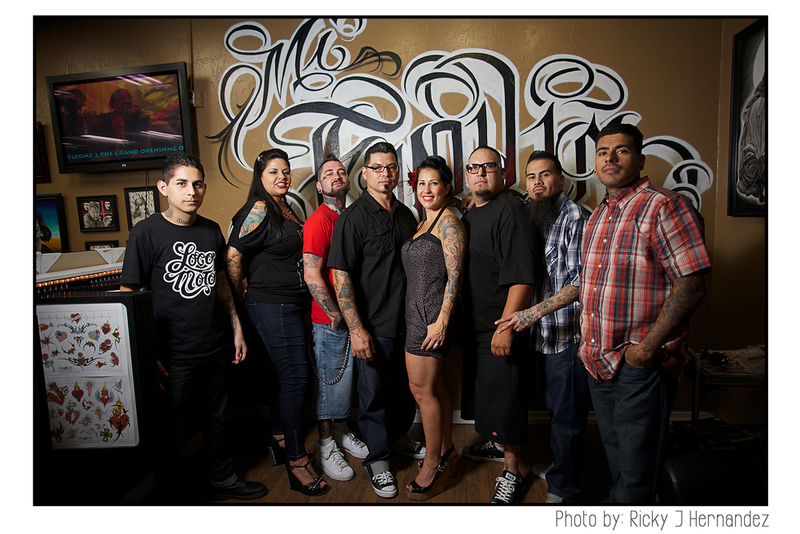 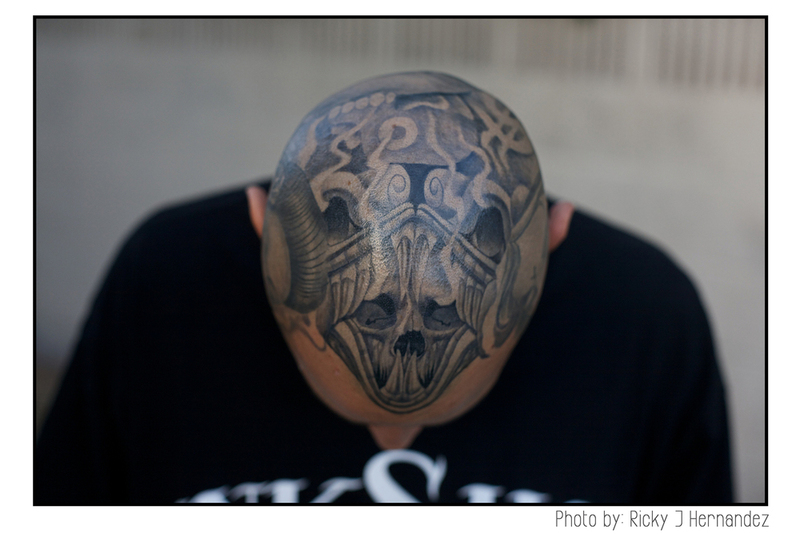 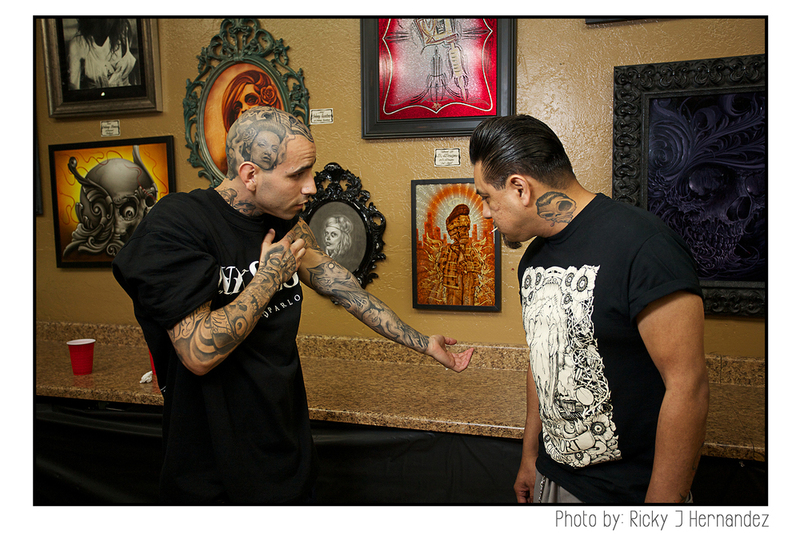 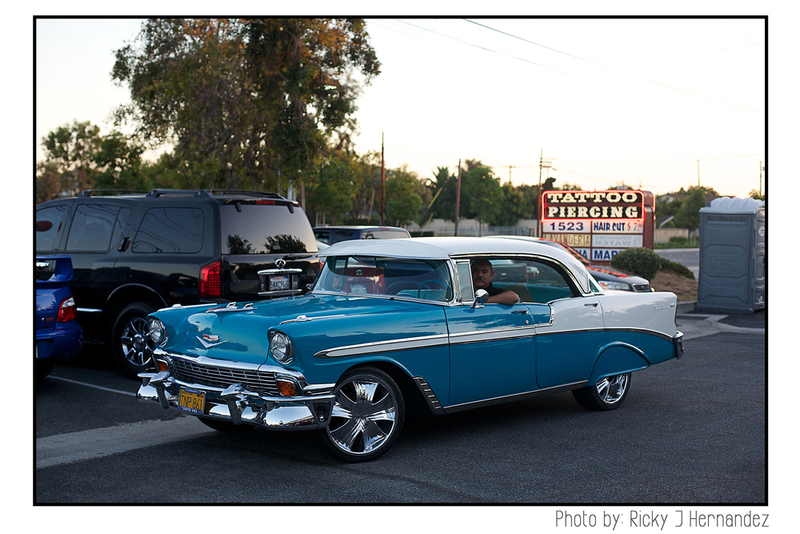 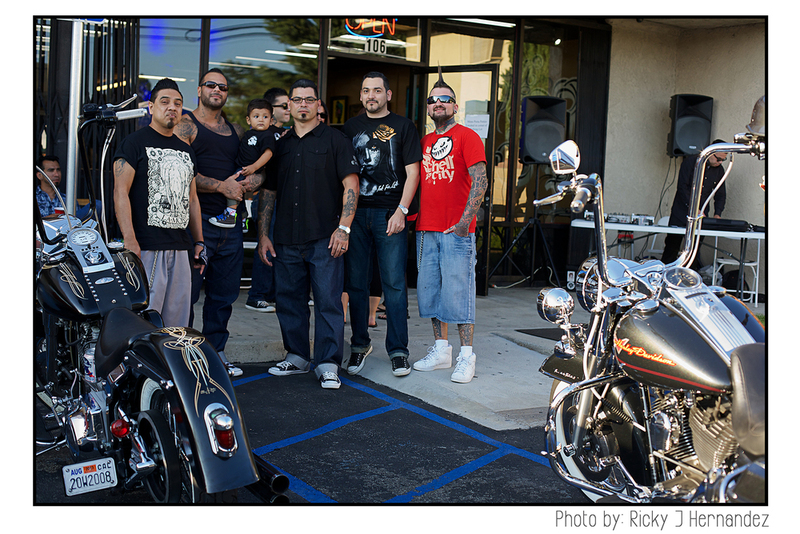 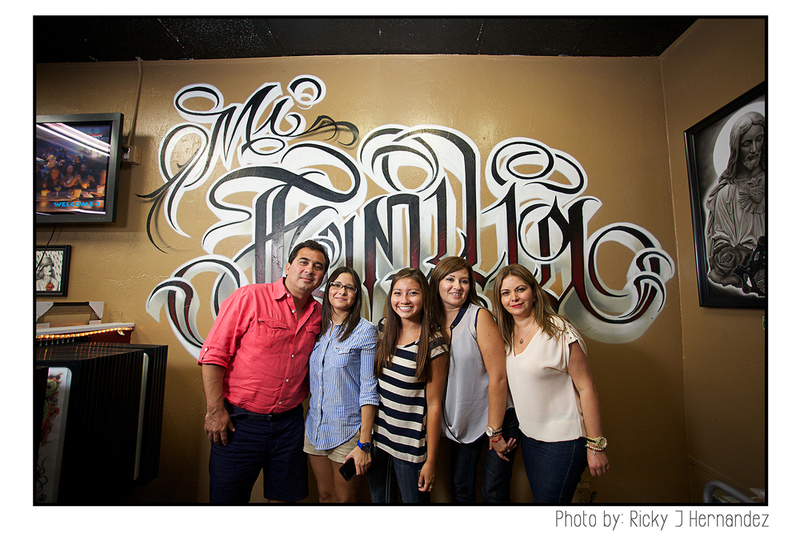 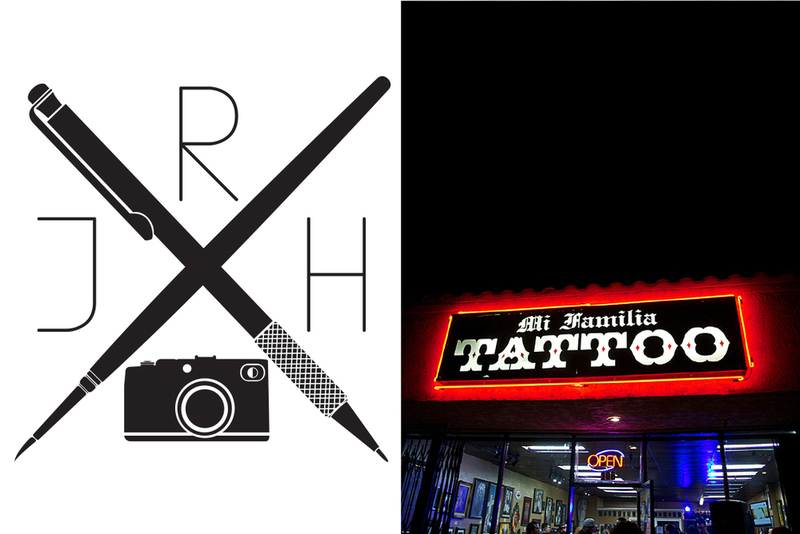 The Mi Familia Tattoo shop grand opening art show felt like a big family get-together. 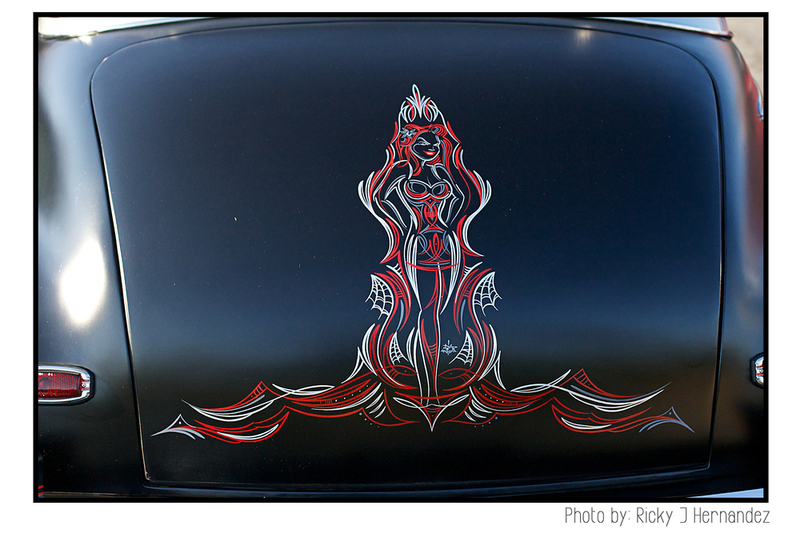 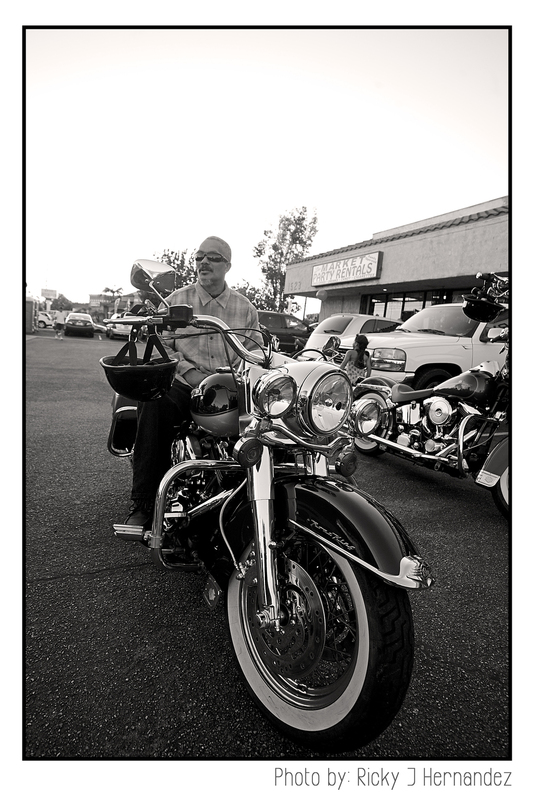 There was a lot of talent and beautiful work displayed on canvas, skin, two and four wheels. 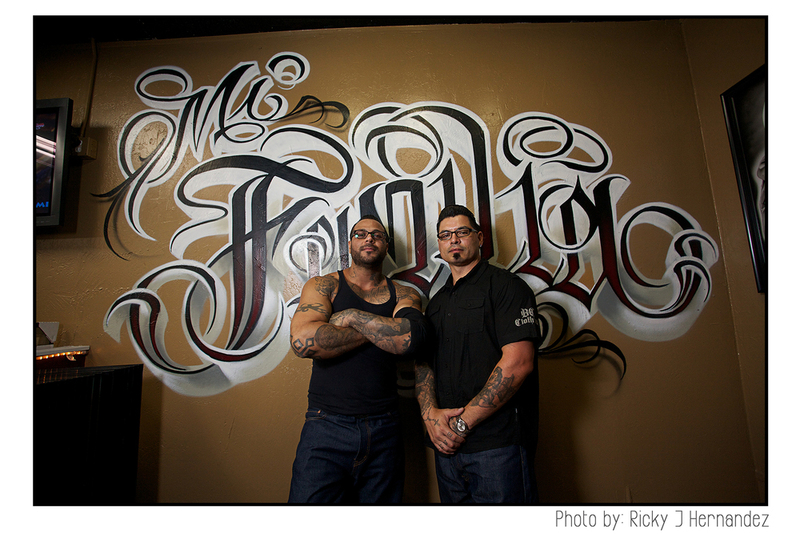 The family and friends of Mi Familia Tattoo stood out from the crowd…not due to the artwork that may or may not have been on their skin, but because of the fact that they were there to support Mi Familia and what they stand for, and that's what family is all about: Respect.